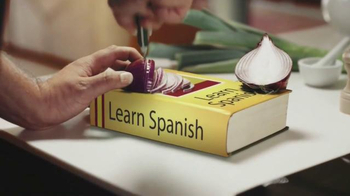 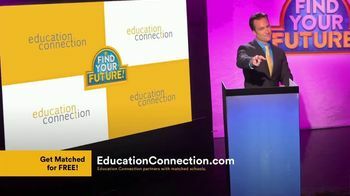 In the game show segment, "Find Your Future!" 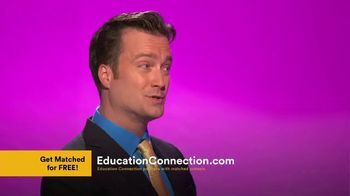 one of the contestants chooses the category "Kickstarting Your Career." 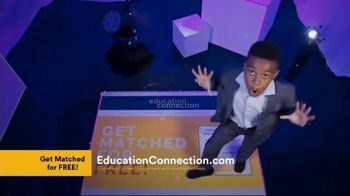 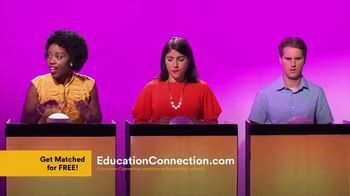 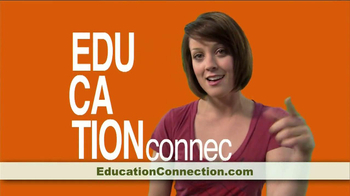 When the host asks about a website that can help kickstart her career in health care, business, education and more, another contestant answers that it's Education Connection. 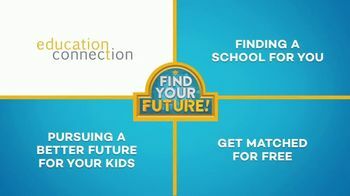 As the questions continue, they learn that Education Connection also has a free website that can help match students with the right school. 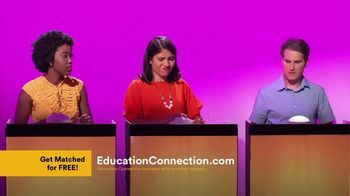 As for the final prize, these contestants have won a brighter future with Education Connection.